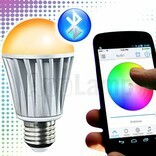 Bluetooth LED lamp with RGBW color and warm white. Direct control via your Apple or Android tablet / smartphone. 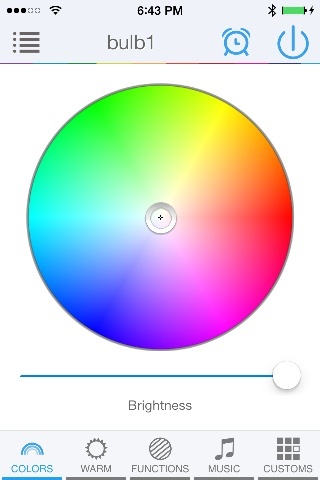 Choose from 16 millions or pleasant warm white. 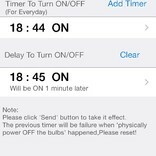 Dimmable and can also be used as a wake-up light using the built-in clock timer. 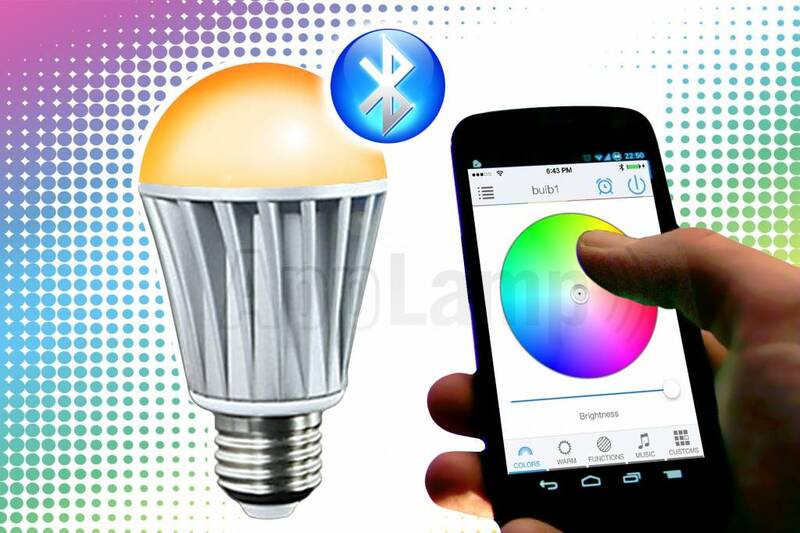 Bluetooth LED color lamp with standard E27 socket and a maximum power consumption of 7.5 watts. 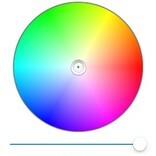 Choose from 16 millions bright colors or warm white light via your Android or Apple tablet / smartphone. Pairing Bluetooth is fast and easy. 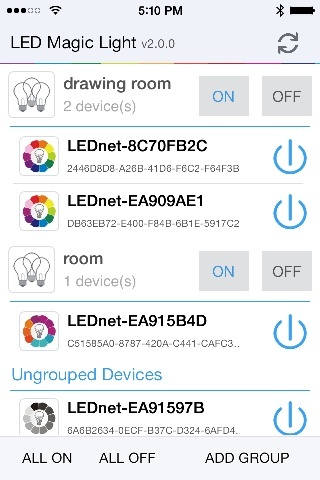 There is no additional wiring required, just a phone or tablet with Bluetooth 4 support and download the free APP. 1-2-3 Plug & Play! 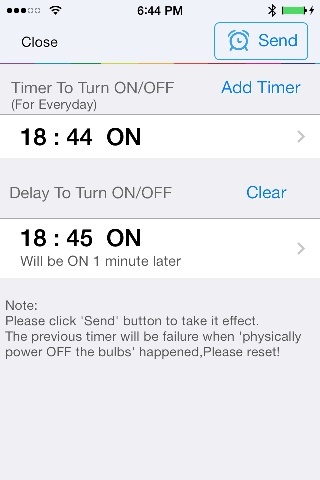 After switching on the bulbs power, you have 1 minute to startup the APP to let it scan for the Bluetooth lamp. 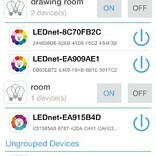 Within the first minute you need to tap the "Add Device" button to add the found Bluetooth bulb(s) by the App Controller. You can now continue to use the APP by clicking on the added device.